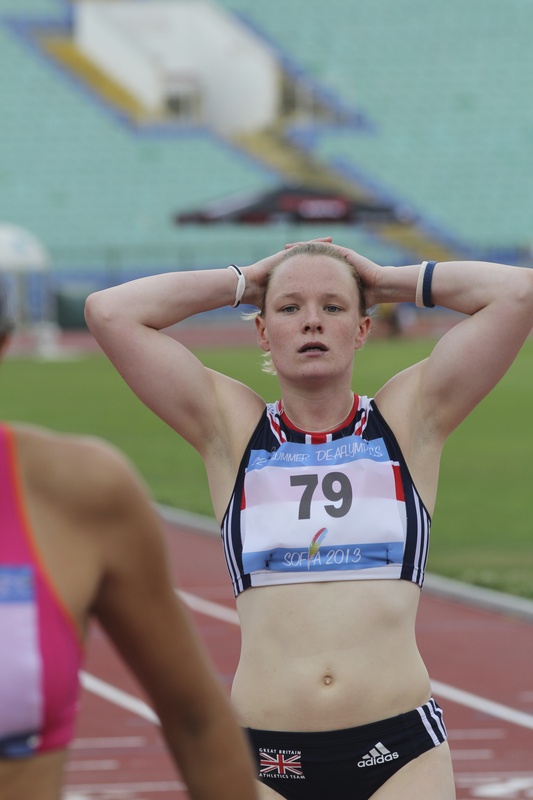 Scottish athletes like Lauren Peffers have a choice – will it be Team GB or Team Scotland ? I have been asked a few times now to comment on what could happen to Deaf sport in Scotland after the Referendum next week. This is how I understand the situation. If Scotland votes No – things will remain as they are. Scotland will have its own Olympic and Paralympic teams. Individual athletes like Lauren Peffers above will have the choice to compete in the Olympic/Paralympics for team GB or Scotland as long as they meet the citizenship criteria. Lauren lives, works and trains in the North East of England, so she will not be voting on 18th September. But what does this all mean for Deaflympic sports if people vote Yes ? If the IOC accepts Scotland as a member of the IOC, then ICSD is likely to follow and give Scotland ICSD membership. History shows that the CISS and ICSD have followed decisions made by the IOC in respect of the Olympics and Deaflympics. But will the Scottish government recognise a Scottish Deaflympic team on par with a Paralympic team? This question has not yet been asked. From experience, for the past three Deaflympics (2005, 2009, 2013) Scottish politicians have showed their support to Scottish athletes within the GB Deaflympic team, but this does not necessarily mean they will provide equal support to the Deaflympic and Paralympic teams. The Working Group on Scottish Sport (made up of prominent Scottish residents) recognises that they will have to budget for sport very carefully if the country chooses to go independent. They recommend that the Scottish government should seek a transfer of funding form UK Sport to sportscotland to meet the needs of Olympic and Paralympic athletes. So far, UK Sport has declined to respond to questions from the Working Group on Scottish Sport. Judging by the way things are at the moment in Ireland where athletes from Northern Ireland have the choice to either compete for GB or Ireland. There are no arrangements for UK sport funds to follow athletes who want to leave GB and compete for Ireland. Funding for UK sport comes from the National Lottery. According to the Yes campaign, Scots will still be able to play National Lottery games and they will see a fair share of tickets sales to support good causes. But the Better Together says the opposite. Meanwhile Camelot, the company who operates the Lottery is remaining neutral in the debate so far. Replicating the current UK system within Scotland by establishing separate and new bodies for NOC and NPC. Merging NOC, NPC and Commonwealth Games arrangements into one Scottish body. The Working Group have reccommended option 3 because it is expected that there will only be approx. 300-400 elite Scottish athletes to support. Again UK Sport has not responded to the Working Group. Who knows what an independent Scottish government will do, perhaps it will embrace Deafness more than the UK government has done, perhaps they will listen AND respond effectively to the needs of Deaf people who live in Scotland. But it will not happen automatically, Deaf people in Scotland will have to campaign hard. Scotland – It is up to you. Use your vote wisely. Good Luck. This entry was posted in Deaf Sport, Deaflympics, Olympics, Paralympics, SCottish Referendum and Sport, UK Deaf Sport and tagged Scottish Referendum and Sport by sharrison64. Bookmark the permalink.